I love being able to make a whole bunch of something at one time, freeze it, and then have it available for a quick meal or snack. 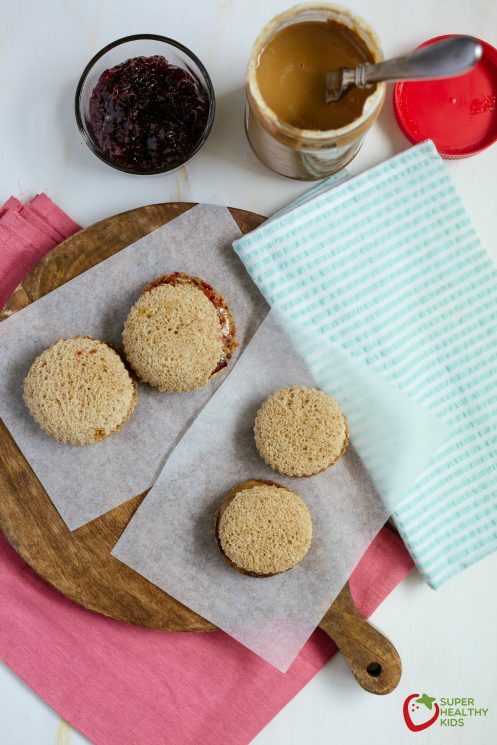 These little sandwiches are perfect for that! 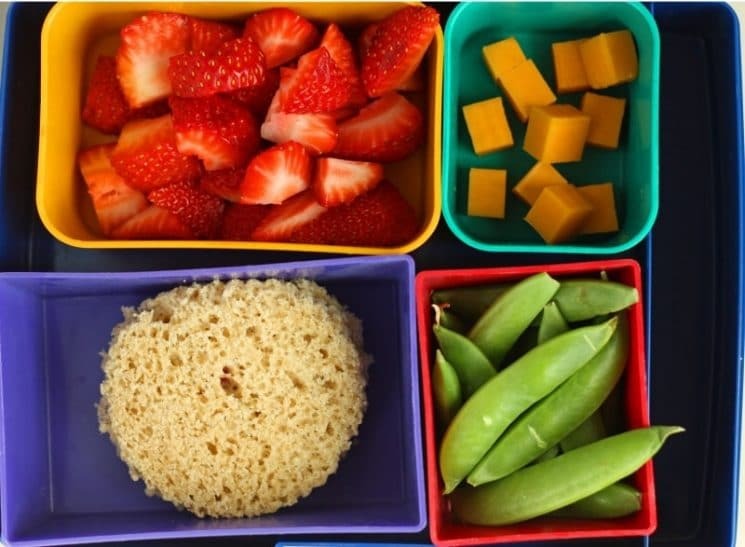 Great for packing school lunches, AND for the summer when you are going out (the park, swimming, hiking) and won’t be home for lunch so need to pack one. Pull these out in the morning, pack them in your lunch and they will stay cold until it is lunch and your kids are ready to eat. And why uncrustables? Because kids love that soft fluffy bread in the middle way more than the crust. And who doesn’t really? 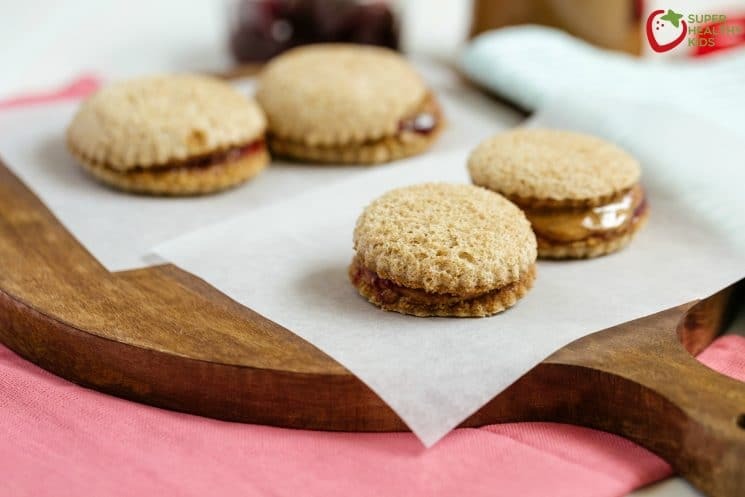 There are a lot of cool tools to make homemade uncrustables that actually seal the filling inside, but if you don’t have any of those, then you can definitely still make them! There are a couple different ways to make these. You can either make 2 small uncrustables per sandwich or one bigger one. I like to make some of both, because sometimes my kids only want to eat a few bites, and sometimes they eat an entire sandwich. First you will need 3 ingredients. 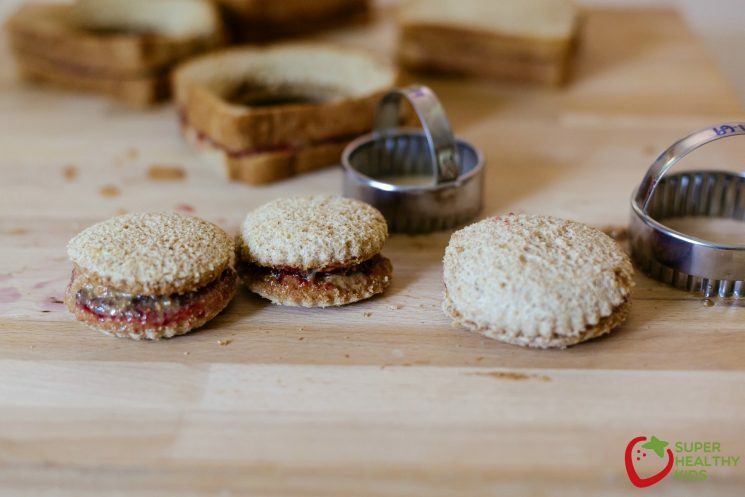 Bread, peanut butter and jam. 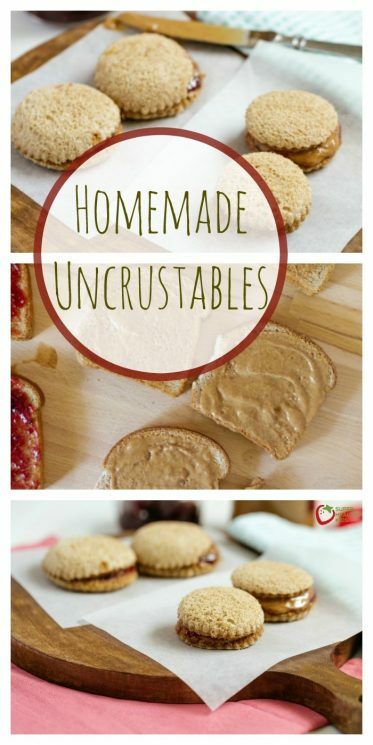 The SECRET to making these if you are going to freeze them for later, is putting a thin layer of peanut butter on both sides of the bread. The oil in the peanut butter blocks the moisture and helps prevent the bread from getting soggy. 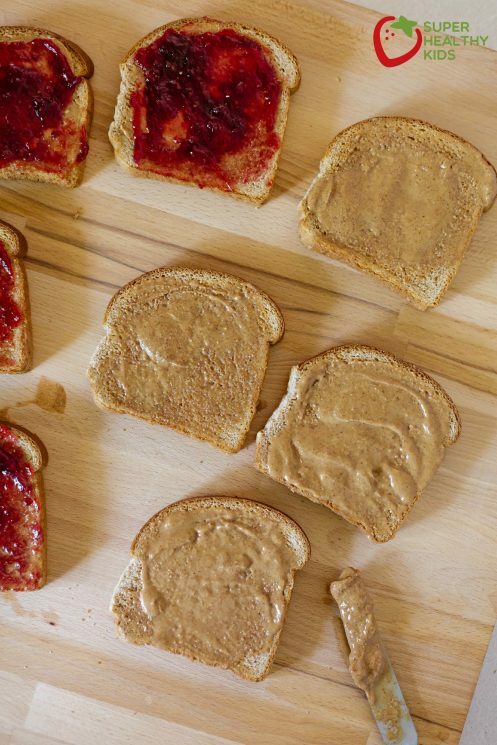 If you are making 2 smaller uncrustables, then you will spread the peanut butter on almost the entire slice of bread. If you are just making one, then only put it in the middle. 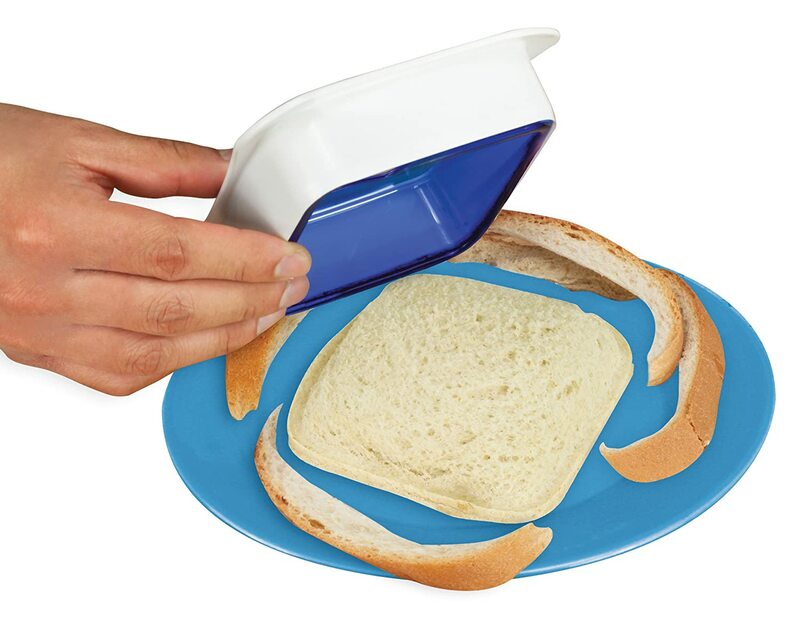 But make sure you get it on both slices of bread. If you are using homemade bread you may want to roll your slices out before you make these so they aren’t quite as thick. Spread your toppings, and then cut them out! 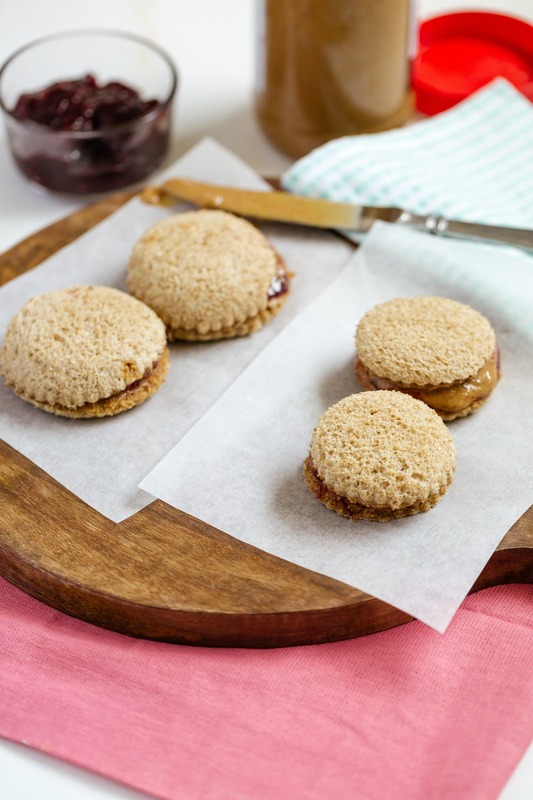 You can really use anything – a cookie cuttter, a cup, a canning lid. Then if you want to seal them, press the edges with a fork – or just leave them as is! Then instead of individually wrapping them, I layer them in between layers of freezer paper, and put them in a tupperware. They will stay good this way in the freezer for about a month. Instead of wasting the crusts, use them to make homemade croutons! Next time you are in a rush for lunch, pull one of these delights out, add some fruits and veggies and lunch is served! Would the same thing apply to cream cheese and jam sandwiches? Were can I get the recipe for the Homemade Freezer Jam? Sounds yummy! What a great idea! So happy to see you are enjoying the bread recipe. It’s one of my favorites as well. Thanks for adding a link back to me. This is awesome! Do you think it would work for ham & cheese also? Thanks – such a great idea! What other fillings can you use – my son hates peanut butter! Yes you could use ham and cheese. The only downside is If you plan on freezing it, ham will produce moisture when it thaws and could make your bread a little soggy. You could use cream cheese and jam, sunbutter, or apple butter. Freeze paper has a wax-like material on one side and then a stiffer type paper on the other side. They would probably stay more fresh longer if you individually wrapped them. Thanks so much for answering everyone else’s question and not mine. It was greatly appreciated!